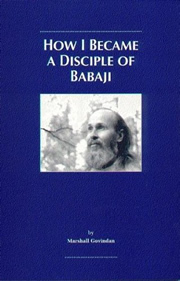 The inspiring story of a young man's quest for God and Self realization through Babaji's Kriya Yoga. Marshall Govindan is the author of "Babaji and the 18 Siddha Kriya Yoga Tradition" and a long time disciple of Babaji, the immortal Himalayan Yogi. From early years of seaking, through ascetic trials in India and Sri Lanka, filled with adventure and difficulties, the author shares a rare story with unusual candor and courage. His inspiring story provides rare insights into a littlle known world.